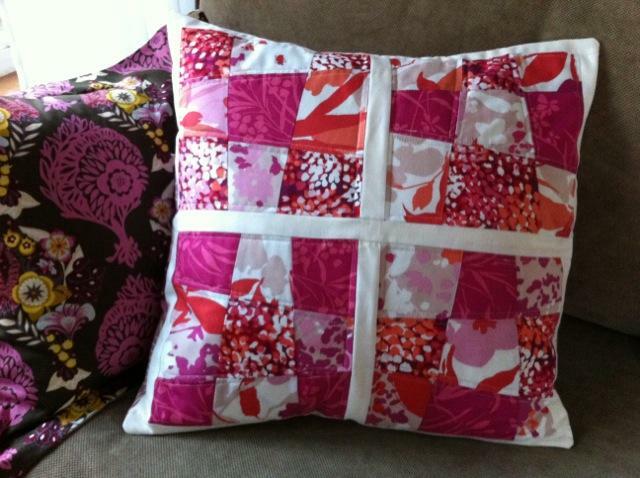 I’ve realized I love sewing pillow covers. They’re simple projects that you can finish in a few hours, and I love the satisfaction of finishing a project. 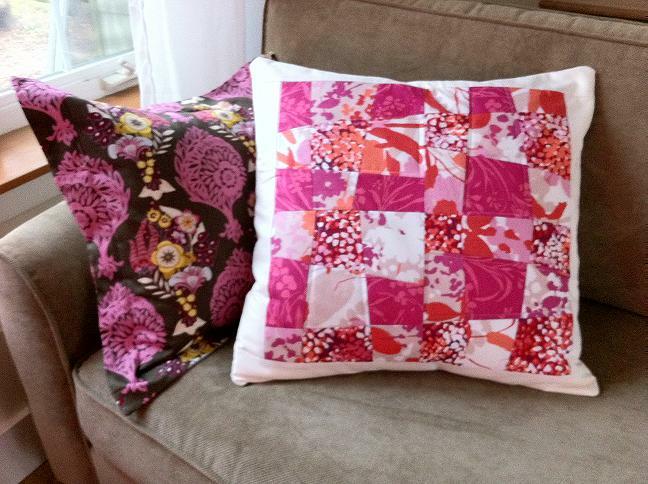 Unlike the “ravioli” pillows I made last week, I quilted these ones. 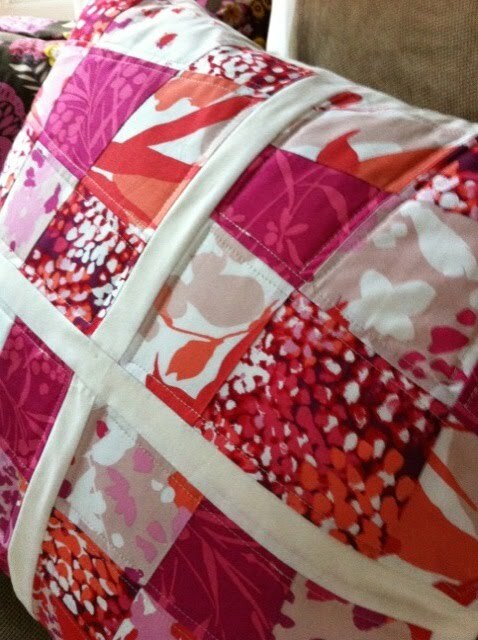 You can kind of see the quilting in this photo. I did simple straight stitching. I think stippling would have been really cute too, but honestly, I was too lazy to switch my presser foot. Ta-dah! Here’s the final look! Here they are all nice and fluffed out, picture perfect. *sigh* What a beauty. …and here they are after a few minutes with my husband. :-} I need to let go and embrace the main purpose of pillows. 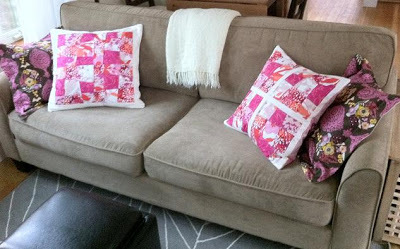 I guess you can say the pillows are well loved. 🙂 Luckily they puff back into shape after a couple fluffs. 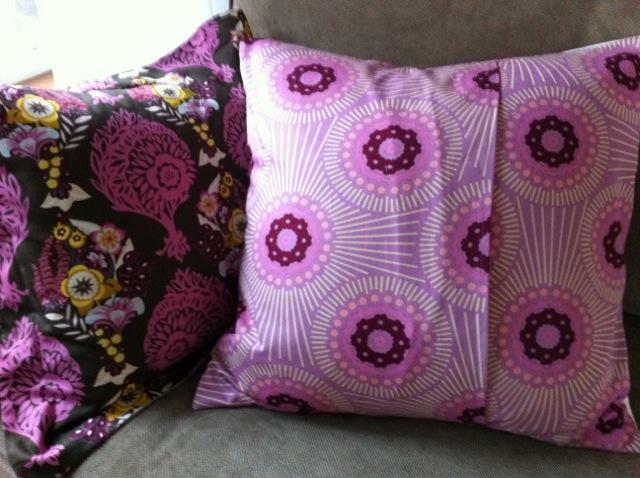 If you’re thinking of doing a pillow cover project yourself, I recommend buying the pillows from Ikea. Both of the pillows above are 21″ square down pillows (hence the fluffiness) from Ikea and only cost ~$6 each. 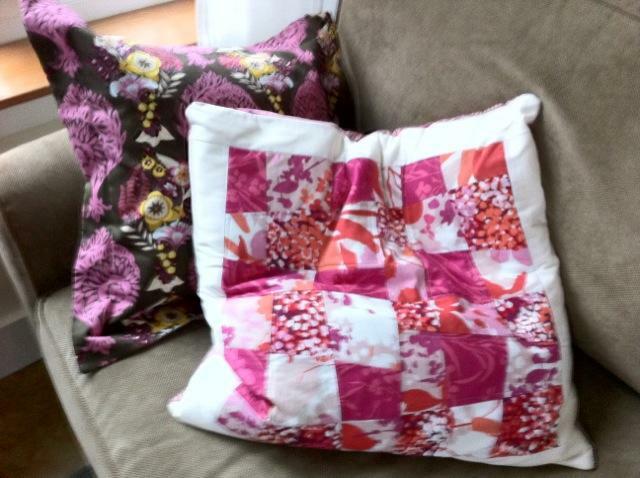 lovely pillows and beautiful fabrics. I love the colours….bright and fresh is the best way. Just found your site from Moda Bake shop. Think my little dog would aso like that rug! I love earth tones and wild animal prints. I love your pillows patchwork. The fabrics look beautiful together.